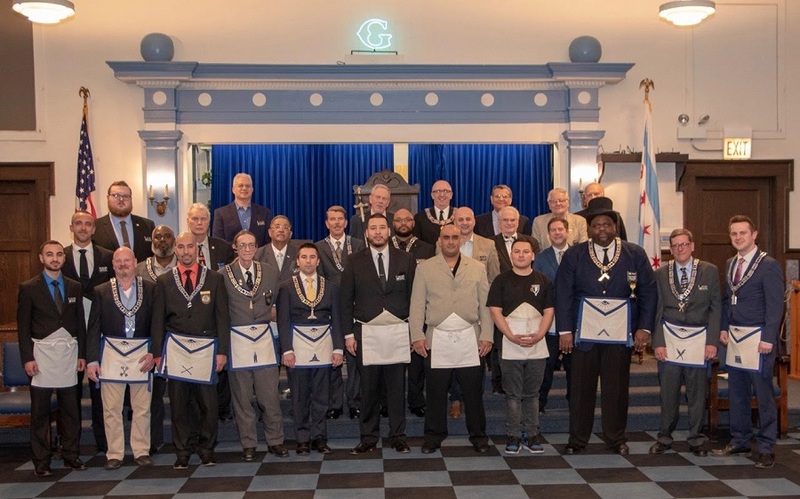 “Another special night at Hesperia Lodge No. 411 in Chicago as we initiated three new Entered Apprentices to our family, Brothers Roberto Segura, Tony Bravo and Ricardo Torres. 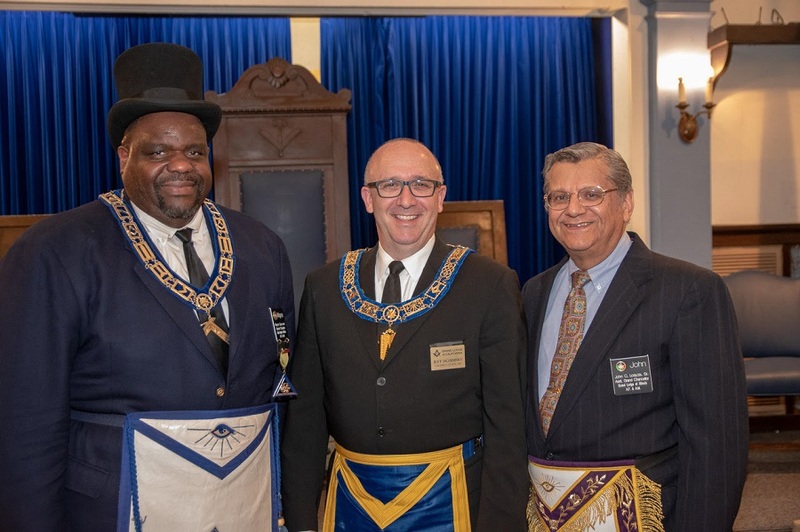 We also made a new friend of The Very Reverend Brother Jeff Schimsky, Grand Chaplain of Masons in California who visited our lodge while in town. 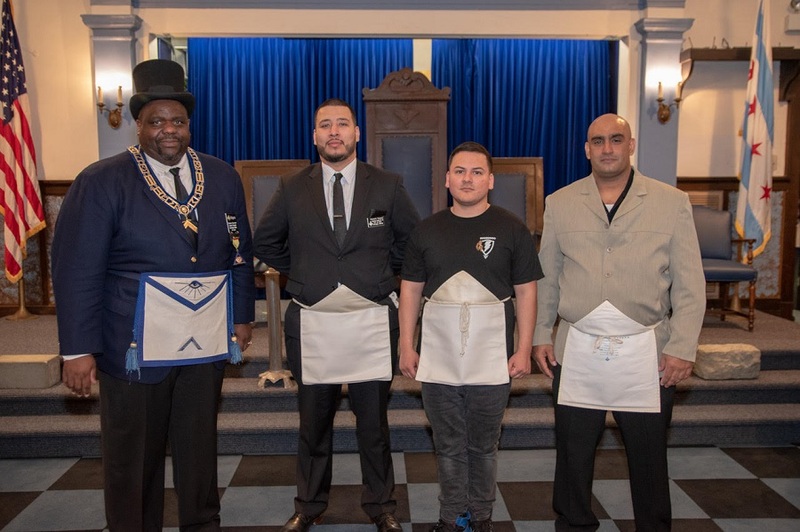 Right Worshipful Brother John Loayza, Assistant Grand Chancellor joined us as well to share in the experience and welcome our Brother from California.